Then there are the acute kidney problems that can affect your dog. You may ask yourself, "What causes kidney disease in dogs anyway?" 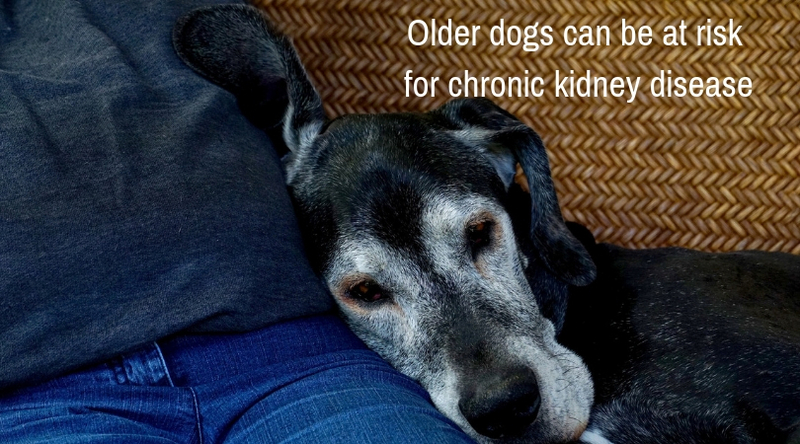 It turns out, there are many ways dogs can find themselves with kidney problems. One is acute, or sudden, which usually occurs after a pet ingests a toxin like antifreeze or certain prescription medications. Other causes of acute renal failure include severe urinary tract infections and decreased blood and oxygen flow to the kidneys. Why would blood and oxygen flow be lowered or blocked? Trauma, dehydration, or heat stroke can lower or block these vital substances. Chronic kidney disease (CKD) is harder to detect. It usually affects older dogs and can stem from cancer, diabetes, autoimmune diseases, or genetic factors. However, it’s important to note that CKD can also be caused by a dental infection. It is common for veterinary professionals to advise pet owners that dental health affects overall health, and kidney disease serves as one example of how this occurs. Bacteria from dental disease can actually enter a dog's bloodstream, particularly when gums are inflamed and provide an "access point." This bacteria can affect not only the kidneys, but the heart and liver as well. In this way, advanced dental disease can actually be a contributing factor for a dog's kidney disease. This is another reason to make sure to attend to your dog’s dental hygiene! Some veterinarians refer to CKD as the kidneys basically “wearing out.” There is no cure for CKD, but there is treatment to help maintain your dog’s quality of life. In both acute and chronic kidney disease in dogs, the key is to pay attention to your dog and notice any unusual behaviors. Some pet owners think that kidney disease means their dog has trouble urinating when, in fact, they probably go more frequently. The problem is the kidneys aren’t filtering the toxins like they’re supposed to do. One of the first indicators of possible "kidney disease in dogs is urinating and drinking more (polyuria/polydipsia or PU/PD). Often, dogs need to urinate at nighttime (nocturia) or have 'accidents.' There are many other causes of PU/PD, but kidney disease is one of the most serious concerns. 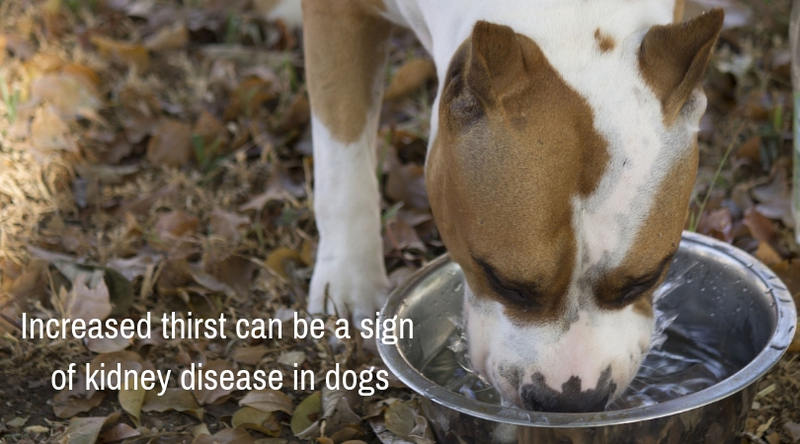 Taking water away from your dog could make chronic kidney disease worse, so please don’t try to do this without your veterinarian’s direction. Having your dog examined promptly when you note a change in water intake and urine production is key! Dogs tend to be pretty sensitive to changes in their blood levels of waste so even mild to moderate changes may cause signs of illness." Now that you know what to look for when it comes to kidney disease or kidney failure in your dog, you can feel confident about contacting the vet with any of these concerns. As the pet parent, you know your dog better than anyone. Any time you see a change in your pet’s behavior and habits, it’s a good idea to pay attention. Make notes if the changes are gradual so that you can bring them up with your veterinarian at your next visit. If the changes are sudden, then please call your veterinarian right away to bring your dog in for an evaluation. Kidney disease in dogs is a serious health concern, but if caught early, we can work with you to help prolong your dog’s life.